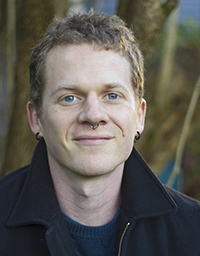 Scott Rinnan is a Post-Doctoral Associate in Ecology & Evolutionary Biology at Yale University with a Ph.D. in Quantitative Ecology and Resource Management. Scott is working to identify Half-Earth conservation priorities that give us the best opportunity to protect the most species. Growing up in the Pacific Northwest helped instill a love and appreciation for nature in me at an early age. I’ve been lucky enough to have lived most of my life in close proximity to an abundance of wild forests, mountains, and ocean, and to have a family that taught me to respect and value the world outside my window. My interest in conservation is motivated by these values, and by my desire for others to have the opportunity to develop and nurture their own relationship with nature. I started my academic studies as a theoretical mathematician, but eventually moved toward a career that allows me to use my quantitative skills to address real-world environmental issues that affect us all. Many of my personal research interests involve trying to better understand how different ecological processes give rise to the patterns we observe in nature. I would categorize myself as a passionate naturalist by hobby and a quantitative ecologist by career. The science behind what I do is interesting and worthwhile in its own right, but for me the greatest job satisfaction comes from turning science into meaningful action with positive, lasting results, and that’s what we’re doing at the Half-Earth Project. As I’ve started to dive deeper into the data, one of the things I’ve been struck by is how genuinely attainable the objectives of the Half-Earth Project feel. We can use actionable science to prioritize our conservation efforts, identify conservation gaps and shortfalls, and track our progress toward our goal of Half-Earth. Every little piece of the planet we protect makes a difference, and all those little pieces add up to something so much bigger. That’s Half-Earth.